Provides a simple way to view the contents of the in-app database for debugging purposes. No need to pull the database from a rooted phone. Firefox plugin for managing SQLite databases. 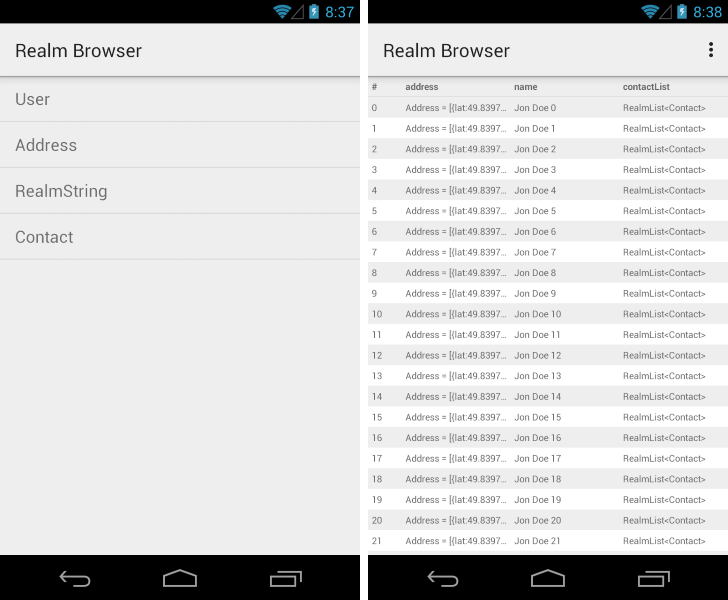 Realm browser that can be used to see tables, structure and content. This browser can be accessed from localhost that hosted by the Android device. A quick and easy database manager and viewer plugin library for your DBFlow databases to view, insert, delete, update the tables directly inside your app.